This diversification of supply has proven extremely challenging for Australia. The 2006 census shows just 53% of IMGs secured medical employment in Australia in their first five years of residence (across all immigration categories). Doctors from English-speaking background countries moved seamlessly into work, while Commonwealth-Asian doctors fared reasonably. Outcomes were poor, by contrast, for many birthplace groups. Just 6% of doctors from China found medical employment within five years, along with 23% from Vietnam and 31% from Eastern Europe. Australia is short 182 intern places. SydneyUni Employment access is significantly better for IMGs selected through the 457 visa temporary sponsored pathway. 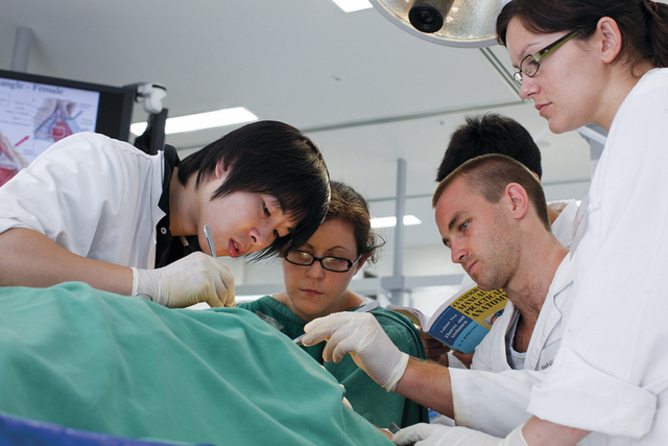 From 2005-06 to 2010-11 17,910 doctors were sponsored as temporary 457 visa migrants to pre-arranged jobs, with a 99% immediate employment rate. From 2004-05 to 2010-11, an additional 2,790 IMGs were admitted through the permanent General Skilled Migration category. But not all passed the Australian Medical Council examinations, which are a requirement for unconditional registration in Australia. From 1978 to 2010, 82% of candidates passed the MCQ (the standard theoretical examination), typically on their first or second attempt, along with 85% of clinical candidates. But overall AMC completion rates were just 43%, since many choose not to persist with the process. It extracts information in real time from a hospitals existing paper or electronic databases, enabling information to appear to derive from a single source for simultaneous sharing. Telstra Ventures Managing Director, Matthew Koertge, said the investment in IP Health aligned to Telstras strategy of developing new growth businesses and would build capability in Telstras Health portfolio. This investment fits with Telstras new health business unit by complementing our existing mobility and hosting solutions and expanding our offering to hospitals. IP Health will be an important asset as we continue to build capability in this area, Mr Koertge said. There are more than 1300 hospitals in Australia, most using multiple systems. This new partnership will help IP Health accelerate its growth by combining our strong and trusted brand, our technology know-how and scale with an innovative software solution. IP Healths Verdi software operates on top of existing systems, is modestly priced, quick to implement and compatible with all hospital systems. Patient information is available on mobile devices for clinicians to use anywhere which is important for specialists who work across multiple hospitals and practices, he said. IP Health CEO, Ashley Renner, said the Verdi solution enables doctors to access and update patient information and treatments, greatly reducing risks and improving response times. Many doctors are called upon out-of-hours to respond to patient needs. Verdi enables those doctors to have the patients full history at their fingertips. This means that if a doctor is called at home for an emergency they could monitor a live read of a patients ECG on their iPad, cross check their pathology results from a number of laboratories and make a recommendation to the nurse on call. Having this information on hand means that more accurate decisions can be made more quickly and at the end of the day that saves lives, Mr Renner said. There are currently more than 5000 clinicians using Verdi at the Peter MacCallum Cancer Centre and satellites in Victoria, and the Mater Hospital group in Queensland. Director, Division of Cancer Medicine at the Peter MacCallum Cancer Centre in Melbourne, Professor John Zalcberg, OAM, said that Verdi made life much easier and saved time for busy clinicians using the medical record to monitor their patients. Everything is available and trackable.